This an essential element in the Christian life – Jesus taught His disciples Vocal Prayer in the Our Father. 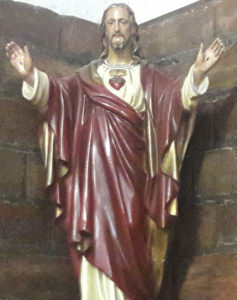 Copyright © 2019 St Peter's RC Church. All Rights Reserved. &vert; The Byline Theme by Alphabet Themes. Archdiocese of Edinburgh & St. Andrews Privacy & Cookie Policies.